IRA BLOCK is an internationally renowned photojournalist, teacher, and workshop leader who has produced over 30 stories for the National Geographic Magazine and its affiliates N.G. Traveler and Adventure. He began his career as a newspaper photographer, earning numerous press club awards. As an expert in lighting, Ira is sought after for assignments ranging from shooting ancient artifacts in Greece to photographing dinosaur fossils in the Gobi desert and documenting Moche mummies in Peru. His momentous coffee table book, Saving America’s Treasures was a collaborative effort among the Clinton White House, National Geographic Society, and the National Trust for Historic Preservation. 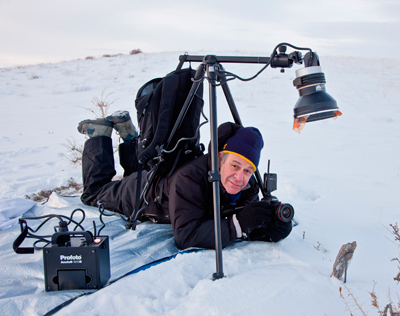 Ira’s unique vision and outstanding lighting skills have made him the “go to photographer” for complex assignments. He taught the first creative, digital photography class at the School for Visual Arts in New York City and is frequently called upon to review and critique the latest digital cameras and lenses. Ira has also taught workshops in Bangkok and Maine, Abu Dhabi and San Diego, Boston, Seattle and New York City. In addition to his editorial work Ira shoots commercial and corporate images, portraits, promotional materials and advertising for leading institutions. He also produces corporate, digital webcast videos. Ira runs a successful stock photography business and is a frequent blogger on the latest digital camera equipment and lighting issues. Like your blog…followed your work for years, liked it then and I still love it now. What cameras, lenses and BAGS are you using now? It is cold and wet in Melbourne, Australia. Ira, just read your blog on the Cuba trip. Have you used any non-Panasonic flash guns with the GH3? Rather than your softbox set-up for travel, I’d like the convenience of the Orbis ring flash, but suspect the already small power of the FL 360L would become too underpowered. Have you tried the Orbis, by any chance? no, haven’t tried the orbis. i do have a ring flash and use it sometimes, it produces a very specific look.